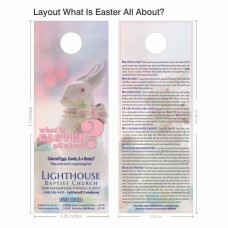 Easily deliver the gospel to every door this Eater with these beautiful door hangers. 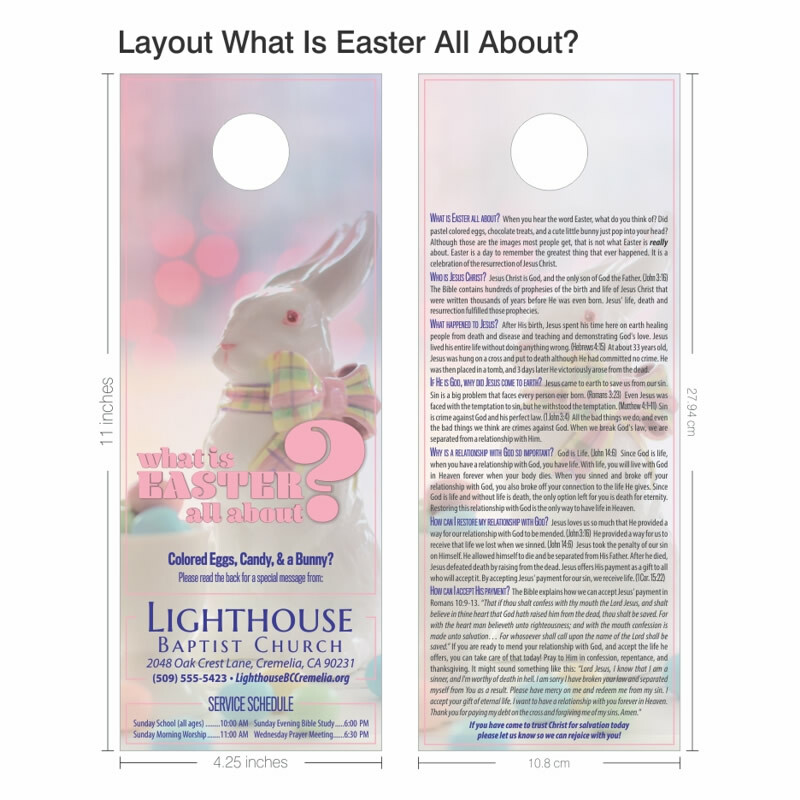 With the full plan of salvation as well as your church's contact information and service times printed in beautiful full color, door hangers are the perfect tool for anyone involved in door-to-door outreach. Your logo (see Art Specifications tab), your choice of one of our stock logos, or the choice to remove the logo entirely.